We'll start off with a guarantee from Dan Robson, whose previous books have sold over 100,000 copies in Canada. 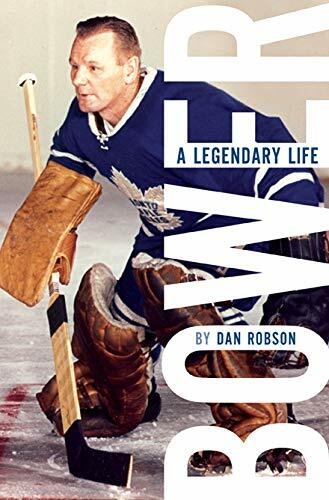 His new book, Bower: A Legendary Life deserves a spot on a hockey fan's bookshelf even if they already own a copy of Johnny Bower's autobiography, The China Wall: The Timeless Legend of Johnny Bower, written with Bob Duff. “While there is overlap by virtue of the subject, I guarantee that anyone who already read The China Wall will find a great deal of new information about Johnny's remarkable life in this biography,” promised Robson via email. Duff was interviewed for Robson's book, out now from HarperCollins, and many journalists and historians (including this writer) shared their own files on Bower with the writer who spent many years at Sportsnet. With 93 years on Earth (a verified number now), there was lots of info on Bower to go through, some of it new to Robson. “I learned a lot about Johnny that surprised me, actually. I was intrigued from the start by the stories he told about his last name—and that he never actually told the entire truth about that. There's an entire chapter dedicated to the various myths. I was surprised to learn that even his own family isn't clear on where the Bower name comes from. I was surprised to learn about his estranged brother, who also changed his name,” began Robson. It takes a team to write a book like this, 352 pages put together in less than a year since Bower died. “There was so much content to go through. I would have been lost without the help of researcher Paul Patskou, who curated a good portion of that content for me,” said Robson, who shared a little of his work habits, honed through a biography on Pat Quinn, and autobiographies with Clint Malarchuk, Doug Gilmour and baseball's Buck Martinez. Though greater Toronto is home, and the Bower family is mostly in town, Robson travelled for both research and was away to write it as well. One trip was to Prince Albert, Saskatchewan, where Ken Guedo of the Prince Albert Historical Society took him around town, so Robson could learn what it would have looked, smelled and sounded like back when Bower was there. 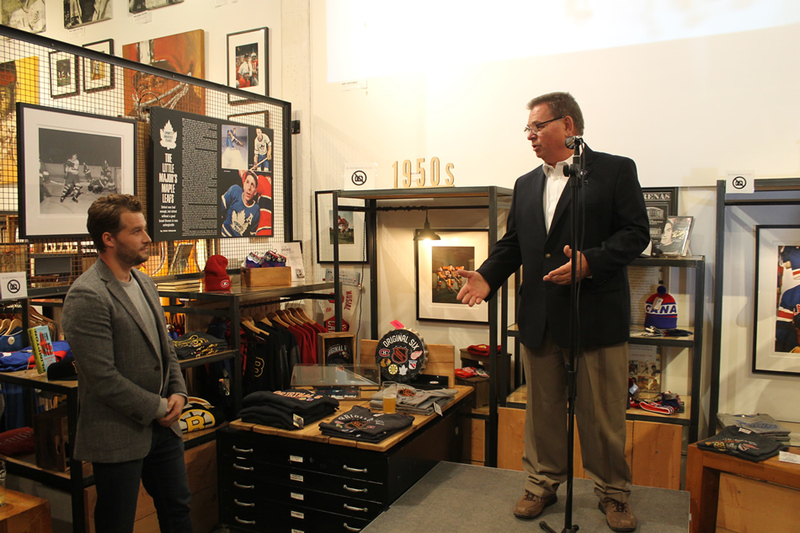 “The Historical Society's archives helped me uncover specific details about Johnny's family life and provided deeper context through which I was able to better understand what shaped him into the legendary man he became,” he said. Another real gem was Johnny's sister Anne Batting, in Castlegar, B.C., who recently turned 100. A book launch for Bower: A Legendary Life was held in at the end of October at The SPORT Gallery in Toronto's Distillery District. Just a day before the launch, Robson agreed to join The Athletic, the ever-expanding online sports news website. 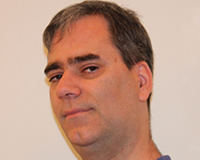 He is the senior writer and head of features with The Athletic Canada. While he embarks on a new journey at The Athletic, Robson will continue working towards another book, this one called Measuring Up: On Fathers, Sons, and What It Takes to Build a Home. Like The China Wall, and Bower: A Legendary Life, it will find a home on many a bookshelf too. While Johnny Bower served in the Second World War, the subject of Alan Livingstone MacLeod's new book is the First World War. 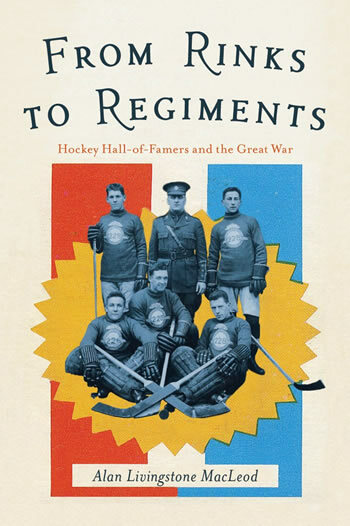 It's called From Rinks to Regiments: Hockey Hall-of-Famers and the Great War. It's a fascinating exploration of hockey's connections during the conflict, told through the stories of the men who played and served (and managed and refereed). There's enough detail on the military side of things to satisfy that side of the equation, and plenty of hockey for fans—and a whole lot for everyone to learn. “The book wouldn't have had the pull I expect of it if the men treated weren't both great hockey players and WWI soldiers. I feel I've managed to strike a good balance,” MacLeod said via email. There was a good reason MacLeod didn't leap in right away, as he was waiting for some of the background material to become easier to access. In a few cases, relatives of the players/soldiers were able to help out. “I definitely sought people out, most often without great success. But in two cases, the families were terrific. Frank Fredrickson's son 'Bud' Fredrickson and daughter-in-law Alix were wonderful. They gave me a great trove of items—Frank's own photos and negatives, letters, diaries, the passport he took to the 1920 Olympics, and much more. Only five of the images the Fredricksons gave me appear in the book; there are many more to be seen in another flickr set of mine, 'Frank Fredrickson'. MacLeod, who earlier wrote Remembered in Bronze and Stone: Canada's Great War Memorial Statuary, did give some thought to the stories of the men who are not in the Hockey Hall of Fame. “I decided that it would be hall-of-famers who would elicit the greatest interest, and I wanted to keep the book to a manageable length, so I made a deliberate decision to limit the book's scope as I did,” he said. “Honour” is a good word to describe From Rinks to Regiments. You come away with a great appreciation for the sacrifices made by these men and an appreciation for MacLeod's efforts to preserve their combined military and hockey histories. Up next for MacLeod is a book that tells the stories of 22 men from a single Nova Scotia community who died in the war. “Alas, there isn't a trace of hockey in that book,” he warned.